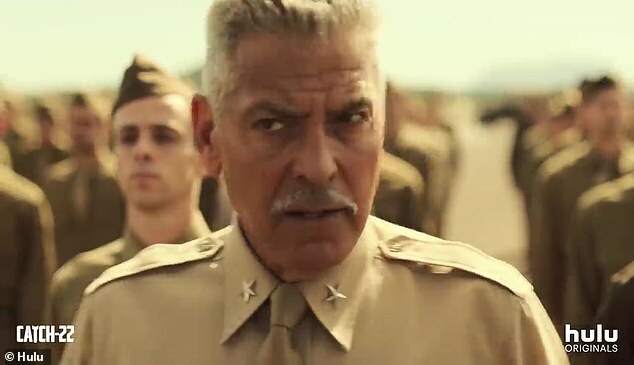 George Clooney plans on tapping into what he calls 'shared global anxiety' in his television adaptation of Catch-22. 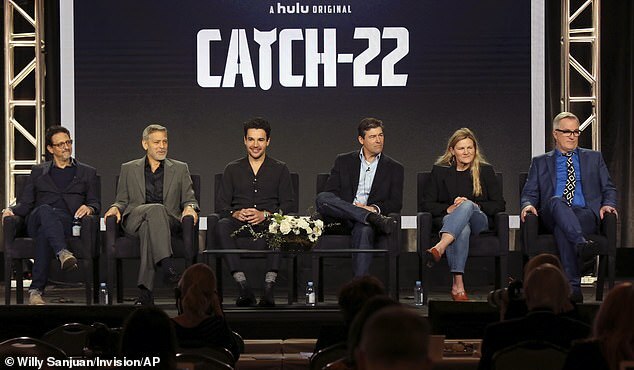 The icon joined a panel of stars at the Television Critics Association Winter Press Tour at The Langham Huntington on Monday in California - the same day a teaser was released for the series. 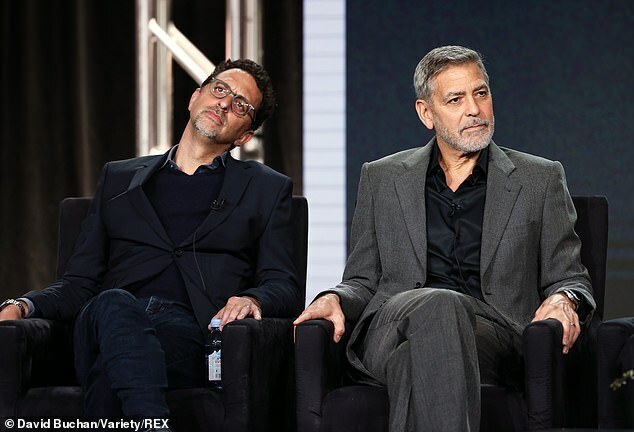 There, the 57-year-old silver fox opened up about his latest project which will see him primarily behind the camera. 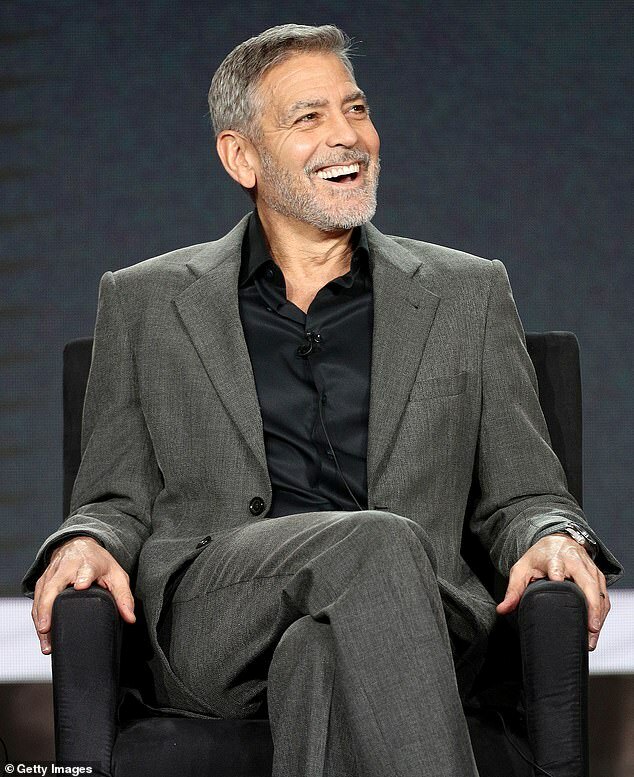 Clooney, ever the dapper gentleman, looked spiffy in a tailored grey suit with a black button up shirt, black socks and black shoes. The husband of world renowned human rights attorney Amal Clooney was sporting his signature short coif with a salt and pepper beard. 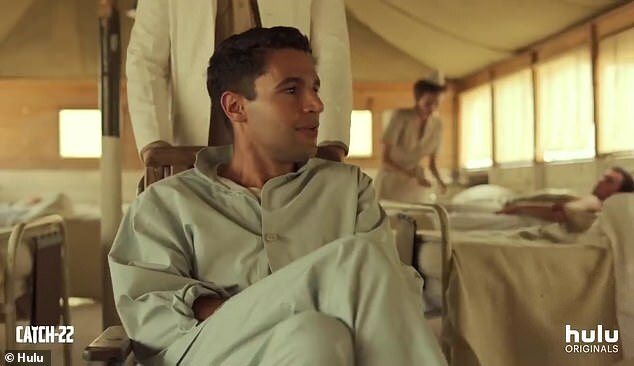 Alongside the star sat Grant Heslov, Christopher Abbott, Kyle Chandler, Ellen Kuras and Luke Davies who all opened up about working on their adaptation of Joseph Heller's 1961 novel for Hulu. 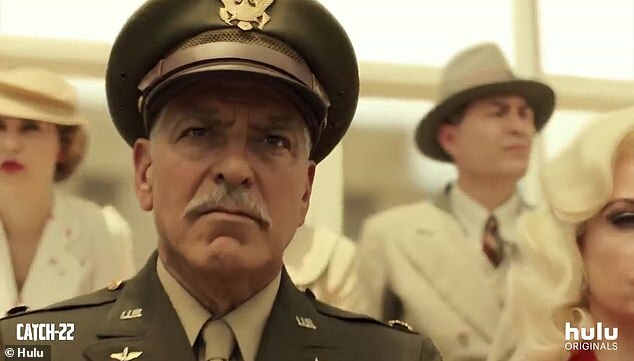 On screen in the series, the Up In The Air actor has a more minor role as Scheisskopf, an Air Force Lieutenant from World War II. 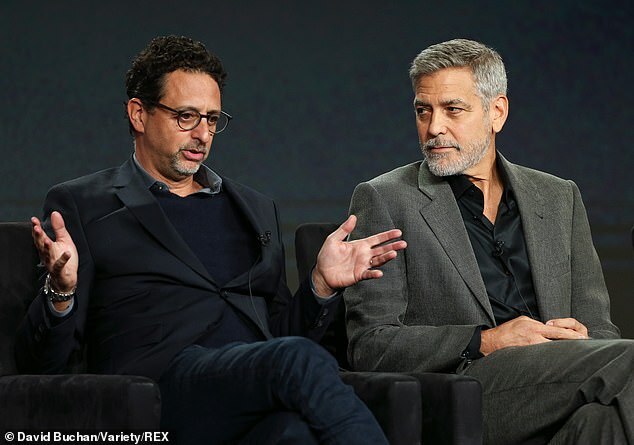 However, the Oscar winner also serves as both executive producer and director for two episodes of the project. 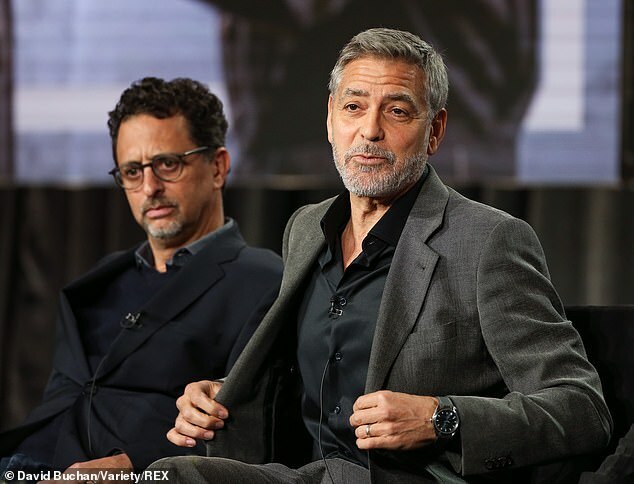 When he was first approached about the project, Clooney apparently said 'no,' reported Deadline. After reading a few scripts from the six-episode series, the star and his producing partners signed on. 'We all wake up every morning these days in shared global anxiety condition and this novel is a great distillation of that,' George said of Catch-22. Adding: 'I love the film, don't get me wrong. But the film re-creates the kaleidoscope chaos of the novel,' he further explained. 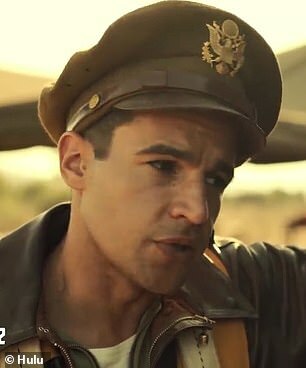 Departing slightly from both the novel and the 1970 film version, the series will be told from the point of view of main character, Yossarian, who is played by 33-year-old Christopher Abbott of Girls fame. '[He] does some pretty despicable things along the way,' the producer said. 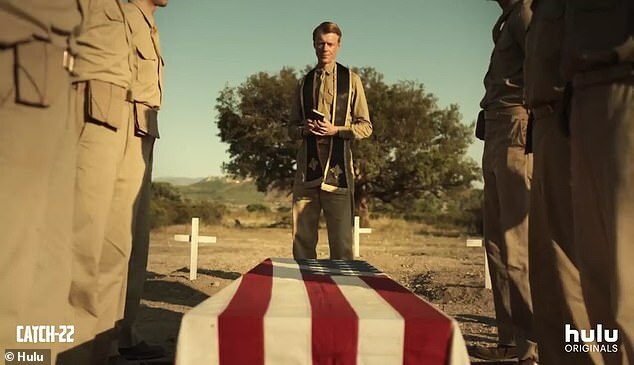 A trailer for the series shows high octane scenes that appeared some how both dramatic and, at times, almost slapstick. 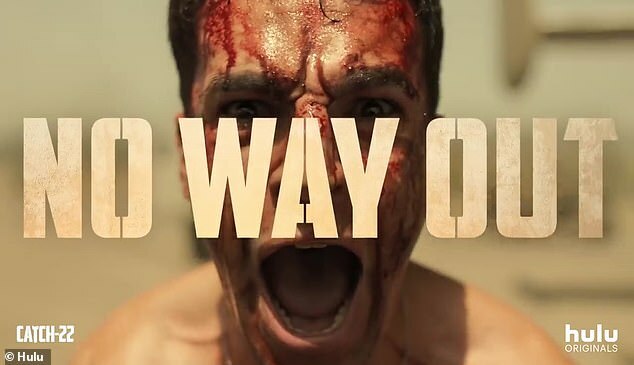 'Insanity is contagious,' Abbott says in the action packed teaser. 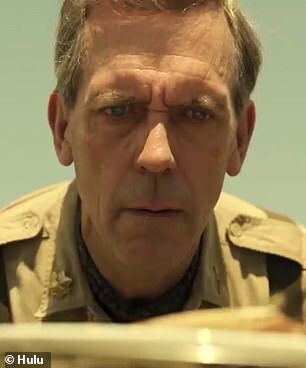 Clooney, Abbott and Chandler feature prominently in the video clip as well as actor Hugh Laurie. 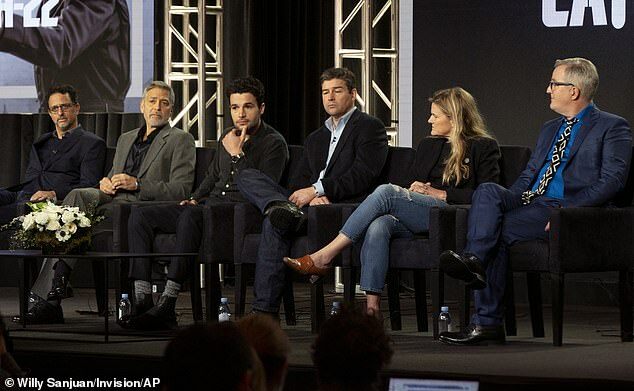 Playing opposite the HBO star is Friday Night Lights and Bloodline star Kyle Chandler. 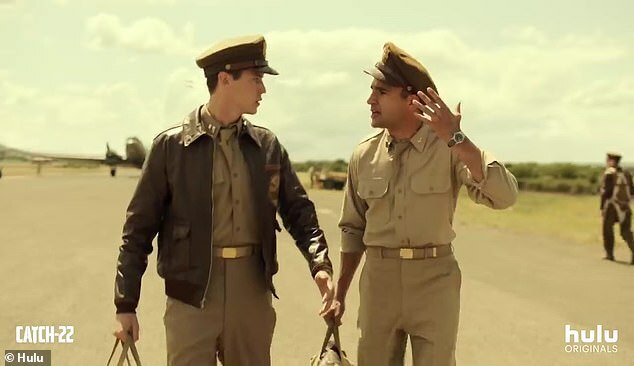 Hulu describes the series as 'the story of the incomparable, artful dodger, Yossarian, a US Air Force bombardier in World War II who is furious because thousands of people he has never met are trying to kill him. 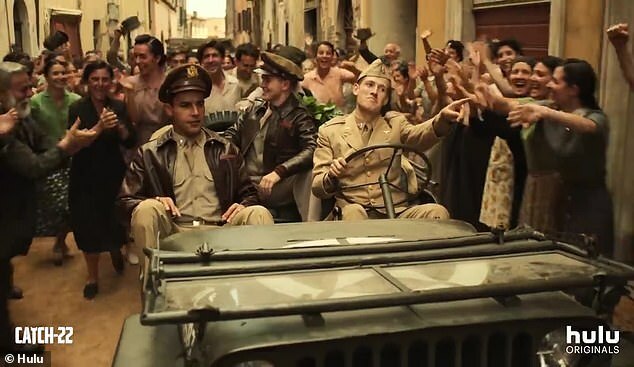 'If Yossarian makes any attempt to avoid his military assignments, he'll be in violation of Catch-22, a hilariously sinister bureaucratic rule which specifies that a concern for one's own safety in the face of dangers which are real and immediate is the process of a rational mind,' the network said. 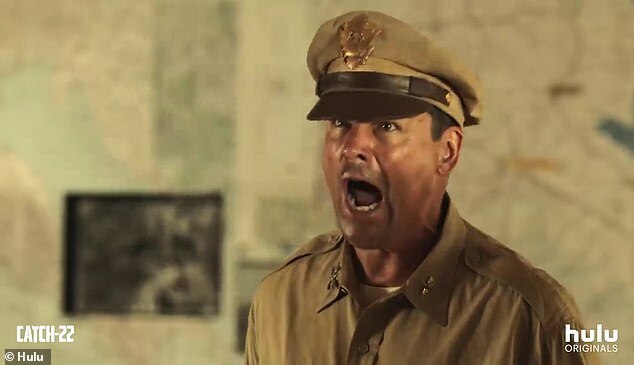 Colonel Cathcart (Chandler) is responsible for dramatically raising the number of missions Yossarian and his team will have to complete. 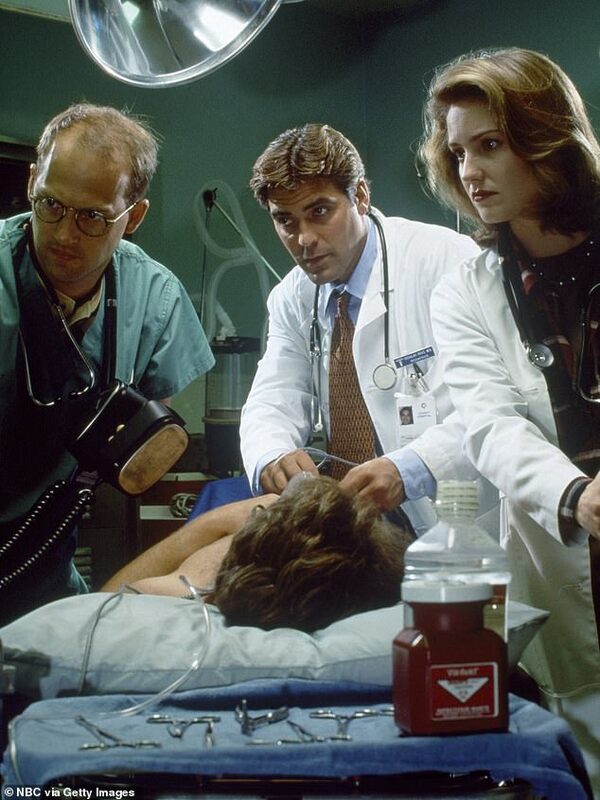 During the chat Clooney was asked an off topic question about Grey's Anatomy breaking ER's record as the longest running medical drama on television. 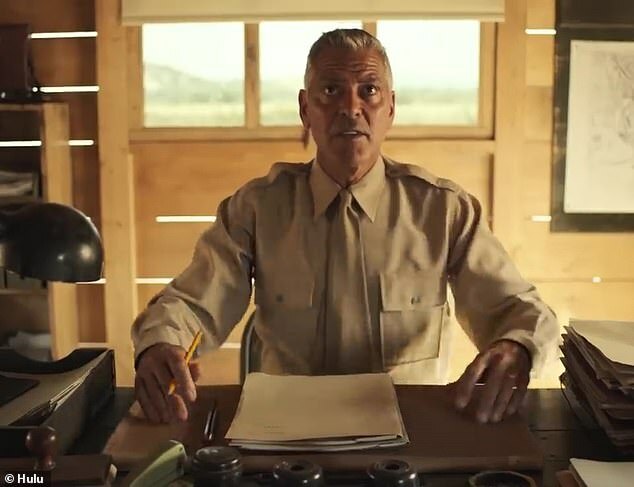 Being an actor's actor, Clooney didn't turn his nose up at returning to television after cementing his status as a movie star for Catch-22. 'I don't care about the medium, I care about the quality of work, and television is doing some amazing things,' he explained. 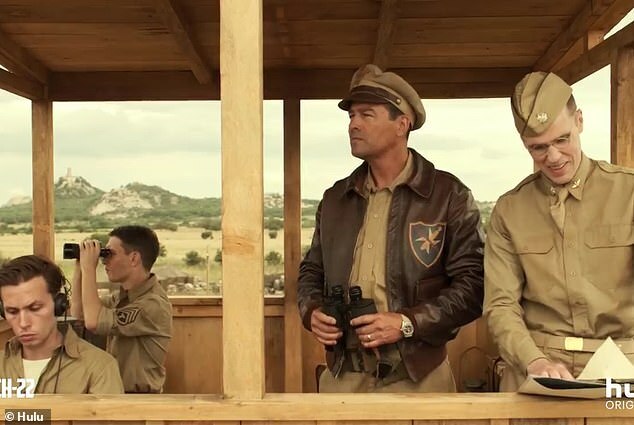 Catch-22 is slated to premiere in the Spring.